Like other men, it could be said my husband has many follies and, in his case, like other men, he did not necessarily declare them all before we married. Not all follies are visible but quite a few of Geordie’s are right in front of me. Jackdaws Castle, across the lawns from the Library, was built by Geordie’s ancestor in 1743 and Dan’s Lodge, originally called Andover Lodge, was built around the same time. 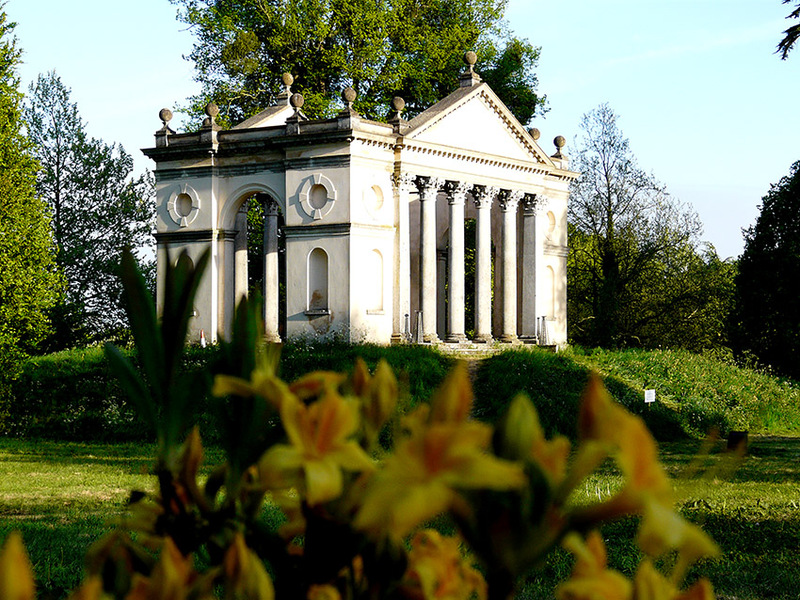 The Temple of Diana, which can be seen on the left as you drive out of the park, is from the end of the 18th century along with the Etruscan Temple, Heaven’s Gate and The Grotto. Others have disappeared into history. Strolling through the gardens and parkland here, you are always walking in other people’s footsteps: admiring the sweeping landscape, wandering idly down a winding drive or path, encountering a surprising view and going forwards with interest to find out where it leads. Gardens, parks and landscapes are embedded in the English psyche and, in the past, as today, the green lawns and trees, or the romantic wildness of nature, give us a sense of peace and inspiration. 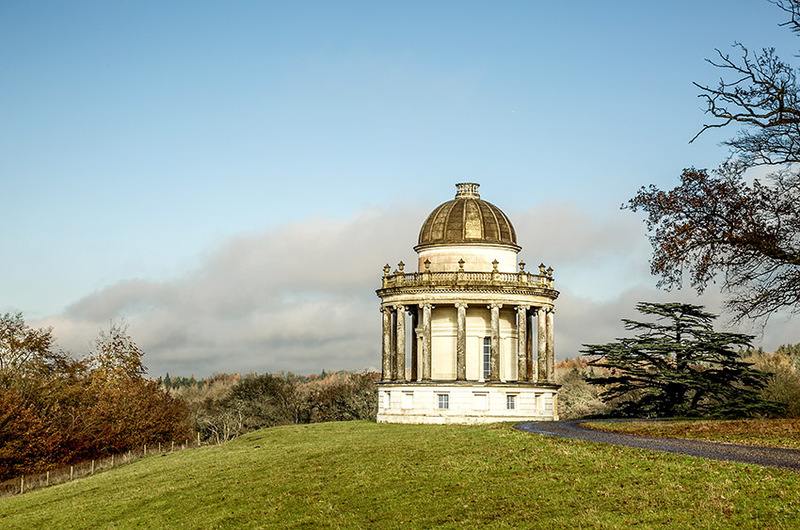 Highclere’s follies, Geordie’s follies, are architectural buildings of interest not just because of what they are, but because of their position in the landscape. They were designed as a sort of punctuation point, either to enhance a particular view, or to suggest a place to pause in order to admire the beauty of the setting. 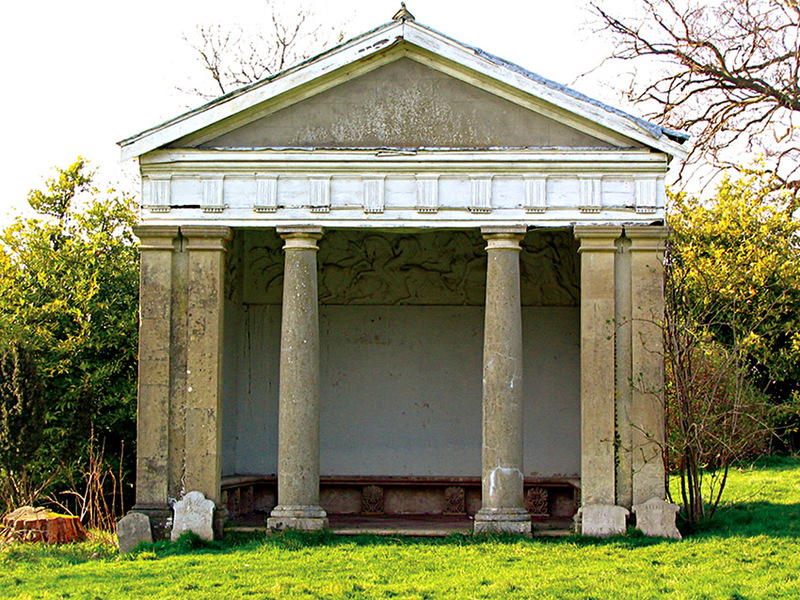 Mock roman temples, symbolising classical virtues, were particularly popular in eighteenth-century English landscape design but very few follies were completely without practical purpose, even if that purpose is not entirely clear today. Some were picnic spots, some incorporated store rooms, some acted as rooms for trysts or hobbies such as watercolour painting. In a time when immediate gratification of whims and desires was becoming the norm amongst the wealthy aristocracy of Europe, Geordie’s ancestor, Robert Herbert, wanted to create an instant park to impress his family and friends. 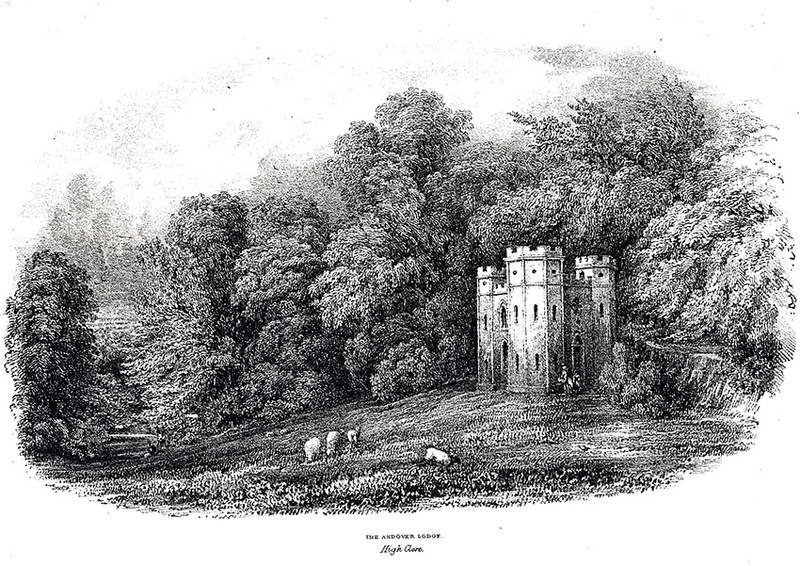 Given how long trees take to grow, he decided to build some twelve follies in a framed and planned landscape thus illustrating his prestige and success, and proposing his excellent taste. Highclere House was considered an exquisite Gentleman’s residence, facing south with gardens and follies to amuse, set in the middle of a rural idyll. The imagination of the 18th century in England was largely inspired by classical architecture and poetry, in particular Virgil’s Eclogues, where he wrote of a natural idyll where no work was needed – Et in arcadia ego – and it was this that the 18th century gentleman tried to transform into a lifestyle. Jackdaw’s Castle was built from reclaimed pillars brought down from Devonshire House in London which had burnt down. It is constructed as a classical symmetrical temple raised on a mound so that it was on the same level as the long room which used to be the east side of the red brick house which was Highclere three hundred years ago. Heaven’s Gate, a red brick arch on Siddown Hill, was originally built so quickly (within two weeks) that it fell down. No one was hurt and it was then again re-built in 1747. It was a mile and a half off from the house at the end of a double planted avenue on a direct line of sight from the imposing Tudor gatehouse. It was likely named for William Shakespeare’s sonnet No.29. At the head of an old deer run lies Dans Lodge, which is now just a ruin but decorative in its own way. The Rotunda is no more but originally it was a pillared circular temple to the east of the house. Now only the marks of the remains can be distinguished in the ground. The pillars were probably removed and reused by Robert’s nephew when he created the Temple of Diana in about 1790. 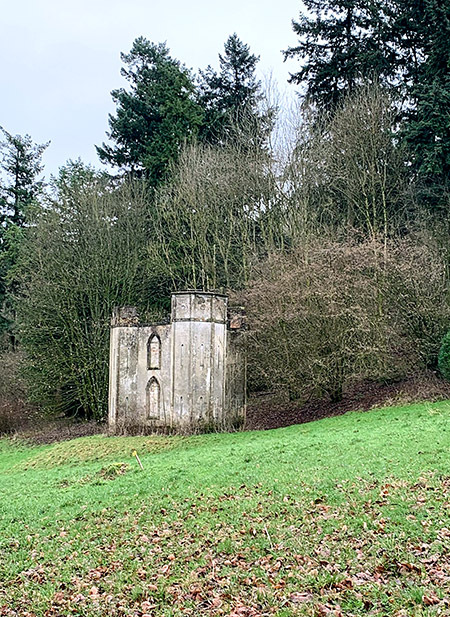 Fortunately for my husband, and the ensuing repair bills, Capability Brown’s plans of 1771 swept away perhaps six of the follies and the previous landscape lies now more in my imagination than in fact. There are not even many surviving records or maps of it. These days, Highclere has some ornaments – the remaining follies, some new serpentine walks through wild flower meadows, a reinstated allée and the background Brownian park which inspires, I hope in all, a sense of a journey in time and place. It is enough. Just wonderful structures!!!!! Are visitors allowed to photograph these structures? Each time I watch an episode of Downton Abbey, I see/hear something I missed previously. I can’t wait to visit!!!!! From the “colonies”, Dan & Suzanne (Lord C(S)assal’s g-g-g-grandaughter). Whose birthday is Jan 28Th? My wife’s bday is the same!!!! I simply devoured every word, Lady Carnarvon. Thank you for this! I am now reading, and thoroughly enjoying, your book about Lady Almina…and your Lady Catherine volume awaits. It is so fun to have this history, as well. I want to be well-versed in all things Highclere before my May visit. Counting the days! Wonderful way to start a new work week, reading your Monday morning blog. 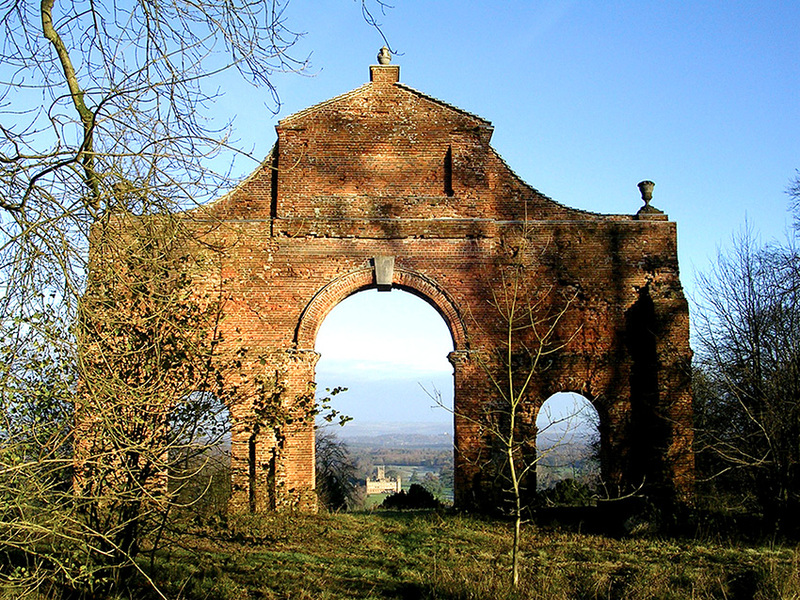 Thank you – as always – for lovely photos and a bit of Highclere’s follies. I’m counting down the weeks to our visit in May. Lady Carnarvon, thank you for sharing these wonderful pictures!!! I wish to be there! In 2017 my niece, nephew, 2 friends and I visited Highclere . After the tour and tea we wandered the gardens, admiring the stunning views and ended up at Jackdaws Castle. We posed for many photos in between the pillars, laughing and giggling like kids. We all brought back many happy memories of our special day. As my dear mother used to say, in her strong Lincolnshire accent, anything that wasn’t of useful, “it’s neither use nor ornament “. I think the follies are indeed useful and very ornamental. They are a wonderful place to pause during a walk of the grounds. 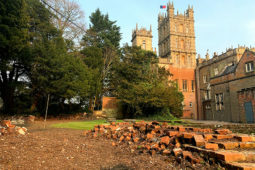 Lovely bit of Highclere history for this Monday morning here where I live. I love the grounds at Highclere, even if I only get to enjoy them via your posts. I believe the grounds at a much younger castle here in the States reflect the same approach and design as the latter landscape architects that designed and built the grounds and follies around your Castle… Frederick Law Olmsted was the landscape architect for Biltmore Castle in Asheville, NC and did his work around the turn of the 20th century when it was built. I’ve had the pleasure of walking the grounds at Biltmore a few times, and it is a delight. I see that reflected in the many posts that show your enjoyment of the grounds at Highclere. I hope you, your family, and staff have a great, productive week. Its great to see your posts. Thank you. Biltmore is an architectural delight. Wonderful history & pictures !!! entertaining friends and enjoying the smell of the roses planted nearby. One day, I hope to visit the “real” follies at your home. That sounds charming – it is so restful to sit near running water. I’m interested to learn about the history of Grotto Lodge as I have distant links with some of the people who lived there. Thank you for the history behind the gorgeous follies. Even as ruins, they serve as focal points. I have been blessed to have taken a seat and lingered in several during my visits to Highclere. It is wonderful to admire the beauty all around – views of the Castle, the gardens and the sheep meadows. I going to need a folly. Just lovely little things. What a wonderful meaning for your Heaven’s Gate! And I loved seeing the Temple of Diana when I did a bit of walking the grounds back during my 2015 visit. But now I must come again , on a not-rainy day, to be able to stroll the beautiful landscape of Highclere, and pause/watercolor paint/sketch? at your delightful follies. They are so “Greek”, you know. Follies have the meaning of silliness or unnecessary ornament, but I read that the word comes from the French: folie, which had an old meaning of “delight”…so, like this your blog about follies…it is all delightful! Thank you my Lady for this. Thank you. And yes, you must come on a dry, bright day – but those tend to be few and far between at this time of year. How many old buildings are there on your property? I really enjoyed reading about the follies at Highclere and the history! I applaud your efforts to restore and maintain the estate, as the expenses must be incredible! Although it is unlikely that I will ever travel to England, your blog brings the reality of England closer to me here in Montana! Thank you for sharing your world. I look forward to your blog. Thank you. I am glad my blog allows you to ‘travel’ to Highclere. I loved all the follies, learned a lot, and would love to go back and see the ones still standing. The ladies group I was with visited the one visible from Highclere! Thank you for sharing. Another interesting blog. When a friend and I visited Highclere we spent some time in the grounds and walked to some of the follies. I have photographs of me at Jackdaws Castle. We also saw The Etruscan Temple and we drove past The Temple of Diana as we left the castle grounds. We did see Heaven’s Gate but decided not to walk to it!! I do love reading about the history of Highclere. Maybe a book about the Castle and its history could be your next book? I agree that Heaven’s Gate is a long walk and is now quite wooded, we tend to go on horseback. I was amazed at so many follies near Highclere! Of course I have photos of the one visible in Downton Abbey. Thank you so much. Ah, how delightful to receive your lovely views of real follies with their history! Thank you for sharing. Thank you for sharing your perspective and Highclere’s beauty. It makes me smile to think of your dog walks. I loved reading this, and so enjoyed seeing all the ones you described! Living in the US, the only folly I was familiar with is the one we viewed and took photos of was the one visible at Highclere in 2016. Thank you! Maybe I should do a folly tour?? Such an interesting walk through history! Amazing architecture, and the natural landscape, what endless inspiration they must provide. Every season brings a whole new perspective. How fortunate you are to have access on a daily basis to this beautiful setting! Thanks for sharing these treasures with your readers! I am very much looking forward to joining you in New Orleans! Thanks for the information. I always wondered the purpose of these structures. Seems like part of their purpose is/was to inspire the meandering guests or family member. I don’t have room for a real folly on my tiny property but at the top of my hill I have some trees & a blueberry patch with a stone seat. I go there and muse. It’s a lovely substitute. Your property is delicious. I toured three years ago and it was such fun. Thank you so much for your article, it was truly educational. I studied Professional Interior design and decorating, I could appreciate all that you have shown. The architecture is marvellous! I am most familiar with the “Temple of Diana.” Wish I could have walked all of the grounds. Thank you I have come to appreciate the work of interior designers – I have learnt so much.. I am so looking forward to visiting your lovely home in March with my 16 year old granddaughter! Thank you for opening your lovely estate so we may enjoy it. I have so enjoyed how you bring it to life through your lovely blogs. When are you coming in March ? It sounds wonderful!! Would love to visit one day! Always love the stories. A folly tour is a great idea…and please consider a book for those who might not be able to tour in person. I love readying your posts, and so wish I could visit….probably never going to happen as old age fast approaches. I would agree with you post above, I think a folly tour wold be awesome! Thank you for a view into your world. What a delightful Monday morning beginning! I read your comment about a tour of the Folly buildings and would so appreciate that. Having grown up on a country #place with (as my parents often declaimed) “only working buildings”, it’s such a joy to share the history and the architecture of Highclere. Thank you for sharing your journey. Your blog is the first thing I think of when I wake on Monday mornings. This Monday you did not disappoint. How very interesting to learn about the follies! I think a folly tour would be so interesting. The closest thing I have to a folly would be my Angel Garden in the front of my house. LOL. I think having peaceful destinations sprinkled throughout the grounds is wonderful. You have such a lot of beautiful space there. Since I must use a mobility scooter to go distances, I was not able to get to the follies for pictures when we visited for Heroes at Highclere, but my husband did. I think the definition of the word folly is brilliant. It is not a silliness, but a treasure! In this hectic , crazy world, I feel we all need a little more peace and tranquility in our lives. It makes perfect sense that a folly fulfills this need. Thank you for another educational blog. I can hardly wait to visit again and with a fully charged battery on my scooter, maybe visit one of them…as Matthew said in Downton Abbey, what a lovely thought. Love the follies. A tour of the follies would be a healthy journey of discovery. Under an English sky a true compass of the heart awakes life’s destination in a traveler’s pursuit of the follies in the field. I think it would be good too and I would like to share a conservation tour too.. Thank you for the delightful and informative history lesson. Reading your blog is like an adventure through the estate. Absolutely wonderful! Had to chuckle a bit about your comments of husbands and their undeclared follies that we find out about later!! But yet we still love them. Enjoyed the history of the standing follies of the property. Thank you for the history. How do you come up with a different subject week after week — and still manage to make it interesting and fun to read. Thank you for your insight — Have a great week! I sit having coffee on a Monday with some of the team here and end up crying with laughter as husbands have such common traits!!! Highclere is sooo fascinating and I thoroughly enjoy your weekly letters. You help us imagine the Castles’s history and then bring us up to date on the current state of both the Castle and the Carnarvon’s. You are such a “gifted” writer and I am so thankful to read your blog every week. Thank you for this lovely treat.You made my day. These buildings remind me of playhouses for adults! One can use his/her imagination and spend the afternoon having picnic lunch and exploring the area around the follies. Such fun! I had the pleasure of visiting Highclere last March. Thank you for sharing the lovely photos and the history behind the follies. We had such a lovely day and hope to visit again. Thank you for educating us Lady Carnarvon. Oh dear I never mean to be too educative! Do you know smaller scale is good – sometimes I do think crikey! I was pleasantly surprised by the use of the word “Follies” I was waiting to hear about your husbands idiosyncrasies – so that was something new learned about the Castle. I hope to see all the things mentioned today this summer – I’m so nervous about making the tour reservation – Which one? When? 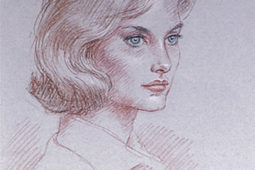 Already missed out on the special tour in May – so will forge on and make it for late July early August – Believe me I’m so excited to next write a comment in your blog about when I am coming to Highclere…..thank you for all the wonderful history about your beloved and your beloved Highclere!!! Both Biltmore and Highclere are blessed with incomparable, natural settings that enhance the outstanding beauty of the architecture. I have been to Biltmore in every season but only Highclere in summer. My visit was a long time ago, the first summer it was open in the late 1980s. But it was memorable, and I shall return. I was very interested in reading this as I often wondered the purpose of follies. On a smaller scale, a seating nook at the end of the garden serves the same purpose I guess. 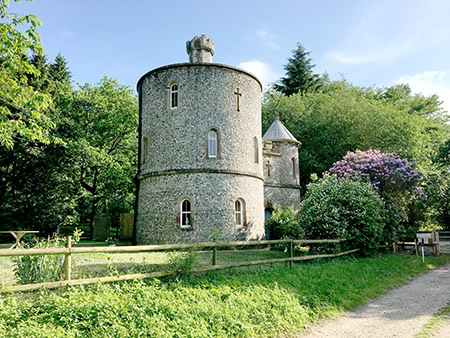 I think my husband would be keen to build a folly in our garden though I’m not sure we’ll have much garden left if he did (it truly would be a folly). Out of interest, can one enter the Temple of Diana and, if so, why was it built (a spare tea room? an artists retreat? a spare room for afternoon trysts?) and what is the purpose of the ground level windows? Or is it completely decorative? Thank you for your lovely blogs, they’re delicious. We have repaired the outside of the Temple of Diana and the inside is shut off as it is untouched and over 100 years has become unsafe. It was a tea house and the staff lived in it to look after it. It is however nowhere near electricity/water etc so we pick “follies” nearer both, such as London Lodge and the Grotto to work on first. They now have a role as short term lets which will give them a life again and a reason to be as well time out and peace for those who stay there. Thank you for the lovely photos and history. I love your ‘play on words’. It took me a moment….well done. I really enjoy your writing; and on top of that I love learning about the history! Beautiful pictures as always. Thank you for taking me out of my perceived reality for a moment; what a delight! Thank you for an excellent post! 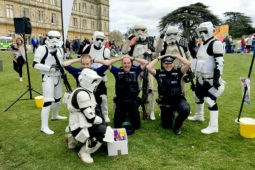 We had a lovely visit to Highclere Castle last year and thoroughly enjoyed the day. Even the weather was good to us and it was a lovely warm day when we visited. Everyone of the staff were friendly too. I spend a lot of time visiting stately homes and Highclere was definitely one of the best. Highclere is on the list to come again when the season opens again. Thank you. Thank you – we did have a good warm summer.. The Etruscan temple is so beautiful. Eighteen century architecture, is very poetic and romantic. I can stare at it for hours; it evokes peace and harmony. Please add my YES PLEASE vote to the folly tour idea! There is nothing like history to open ones mind, I really love all your history lessons on the Abbey. Thank you so much for taking your time to inform us all. Thanks for sharing, but there is so much more to see on your lovely estate!!! I shall go back one day for sure. Unfortunately, it rained most of the day we spent at Highclere (the first day of rain in two weeks we were in England, God blessed us with the Sun for 14 days in a row!!! ), but we managed to have a bit of a clear sky between the castle visit and afternoon tea to see and walk in the gardens, but it was certainly not enough for me! How annoying about the rain even if rather English… I hope you will be able to return at some point! What an interesting photo tour of the follies! Are you planning to give an architectural tour one day? Fascinating, and very well illustrated. A question that has been bothering me for years is Why is it called Jackdaw’s Castle? This seems unlikely, as it was always open and roofless. Are there any stories about it? however improbable? It seems that behind where Jackdaws Castle now is,there used to be an avenue behind it. I suspect Geordie’s ancestor highlighted it with this folly which was raised to bring it level with his long gallery on the site of our current library. The diaries from Milles are excellent and provide an invaluable snapshot. The 6th Earl was a great raconteur and you would find jackdaws there then and now – having said that I regard jackdaws are a type of crow -we also have ravens. I was wondering what the red sofa in the library with the knobs on the back corners tied with tassels was used for. I can see that it will lay down but wondered the purpose. When I was there ask our guide but she could not give answer. Thank you. It is a Knole Sofa- they were made in the 17th century and are named for Knole, a house in Kent. There is one there from 1640 and this one is more recent but in a very similar colour.It is delicate and we admire ours rather than sit on it! I am so far behind the times.. I am just now finishing the last season of “Downton”. Thoroughly enjoying this drama but also so intrigued to be introduced to your extraordinary property. Thank you for sharing.. it is a very special treat — I was just in London in December but hadn’t even started the show at that time… next visit in June…… and I will definitely seek a tour of Highclere. We have quite a few special guided tours in June..
What an interesting blog on the “follies” at Highclere. On my last visit in 2015 I had wondered about them, and now I will have a greater understanding on my April 2019 visit.I believe a tour would be a great idea! I have to admit I was so excited to discover that George Herbert, 5th Earl of Carnarvon, had discovered Tutankhamun’s tomb, a discovery I delighted to see as a child with my love of Egyptology. I have seen the exhibit elsewhere, but will be delighted to see what artifacts were left behind at Highclere on this visit. I had hoped to hike some of the trails to get a birdseye view of Highclere and some of the follies April 17, but I understand the trails are not open at that time? Or is that a possibility? You will find two follies in the gardens and you will pass another one on your way out. A walk to the top of Beacon Hill is good – depends how long you are spending near here? I am pleased that there is interest in your historical family home. It must be comforting to know that The Castle can remain in your family whilst the world can enjoy its splendor via its contributions. I believe the Biltmore Estate in Asheville has been able to do much the same for the benefit of all. I do not think I ever take it for granted not should I ever stand still. I have been fortunate to meet some of the Biltmore family and they have an energy and inclusiveness which comes from passion for their home and history – they also strive.. I would like to request more blog posts on daily life at Highclere through the ages, if it’s not too presumptuous, as there are so few people who blog about history. I am an avid reader of everything history related, mostly US History, UK history, Irish, Scottish, Welsh, etc; but one thing I don’t see much of is a review of daily life, and I wouldn’t recognize many things, for sure. In particular, there is a wooden stand that I have seen in your pictures which is completely foreign to me but in the Downton Abbey series it looked like a wooden stand that displayed needlework or a tapestry. What exactly was that called? And what was it’s function? It was often placed near the fireplace. Maybe a fireplace screen? And how did people wash their clothes? Today they would be dry clean only but what did they did they used to do? I heard something about brushing off a jacket on Downton. Can you tell us about their clothes, in general, and add pictures? I’m interested in architecture and artwork, too, just not right after I’ve been ogling the warderobe of Lady Mary. I love those clothes! I would be delighted to focus on a different life topics – some of the detail is in Lady Almina or Catherine – we are restoring costumes at the moment so I will look at that for a post!